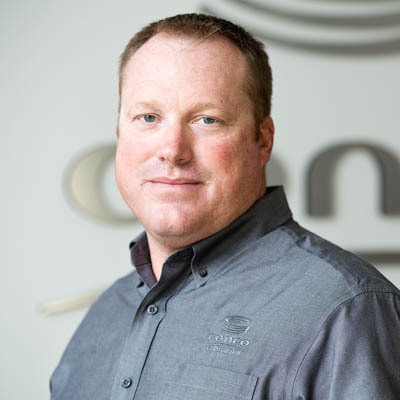 Brad Painter values the fact that Conco has integrity. The company believes in being transparent in decision-making, he says, which helps retain employees and build long-term client relationships. As project superintendent, Painter is in charge of delivering on deadlines and budgets for large industrial projects. He’s focused, he says, on building strong working relationships with clients and other contractors. He enjoys interaction with clients and design teams. “I believe building relationships and producing quality work are key principles to building a strong company.” That’s a solid viewpoint for one of Conco’s youngest team members. A graduate of Fort Hays State University with a degree in Industrial Technology, Painter loves working in a positive, fast-paced environment with great leadership that supports work efforts and decision-making. He says working for a self-performing company has several advantages, including the ability to set schedules and increase quality of work.